Bitcoin (BTC) To Be Dethrowned By Ethereum (ETH) & Dogecoin (DOGE)? DodgeCoin From A Meme To Overtaking Bitcoin (BTC) Itself? Finder’s March Cryptocurrency Predictions Survey has arrived featuring bitcoin (BTC), Ethereum (ETH), and even Dogecoin (DOGE) and in short it shows how much potential altcoins have (or how big of a bubble they are). This month, nine fintech leaders provided their predictions on how the top 10 by market cap and top 2 trending cryptocurrencies will perform in 2018. Has Bitcoin (BTC) been dethroned? 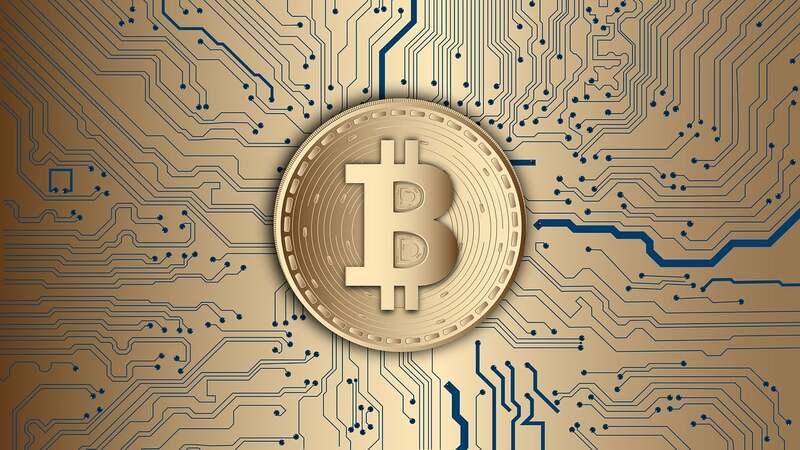 When comparing the forecast market capitalizations for Bitcoin (BTC), Bitcoin Cash (BCH) and Ethereum (ETH) – the only three of the 12 coins with reported number of coins available – Bitcoin (BTC) has been in the lead for two months running. This month, Ethereum (ETH) is predicted to see the highest growth by the end of the year (+212%). That’s a significant 18% more than Bitcoin’s (BTC) 194% increase. Bitcoin Cash comes in third, sitting at +123%. All in all, it’s looking pretty optimistic in the crypto world this month. Despite this, Bitcoin (BTC) is set to remain king in terms of price. By December 31, 2018, on average, the panelists predict Ethereum (ETH) to be worth US$2,550, whereas Bitcoin (BTC) is forecast to hit US$29,533. Dogecoin (DOGE): a meme or reigning supreme? Dogecoin (DOGE) was first introduced into our forecast in February, where the majority of our panelists had little to no confidence in it picking up pace. Fast forward to our March predictions: our panelists predict that Dogecoin (DOGE) will experience the greatest growth by December 31, 2018 out of all 12 coins forecast (+2,920.48%). Cardano (ADA) came in second for increase in value at +594.61%, followed by Ripple (XRP) (+541.34%). This month, our panelists forecast that Ethereum (ETH) and Stellar Lumens (XLM) are the top coins we should be keeping an eye on, with many others also backed by the panelists. 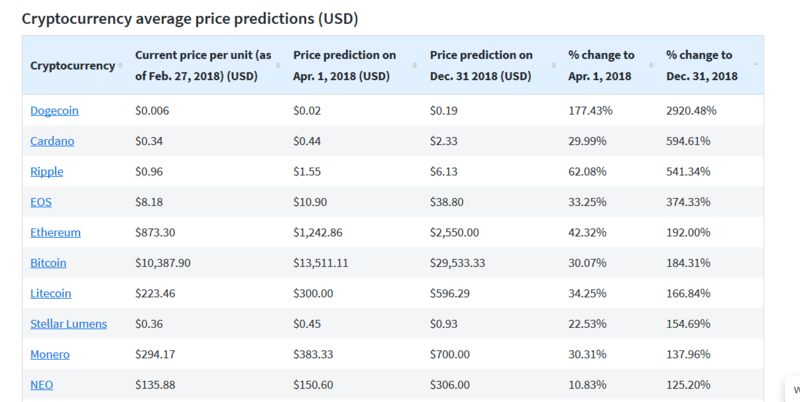 Interestingly, this is the first predictions survey where all coins are forecast to rise in value by the end of 2018, signaling optimism for future growth.